In the end we got a dozen chicks. I’ll start with our quail fail. 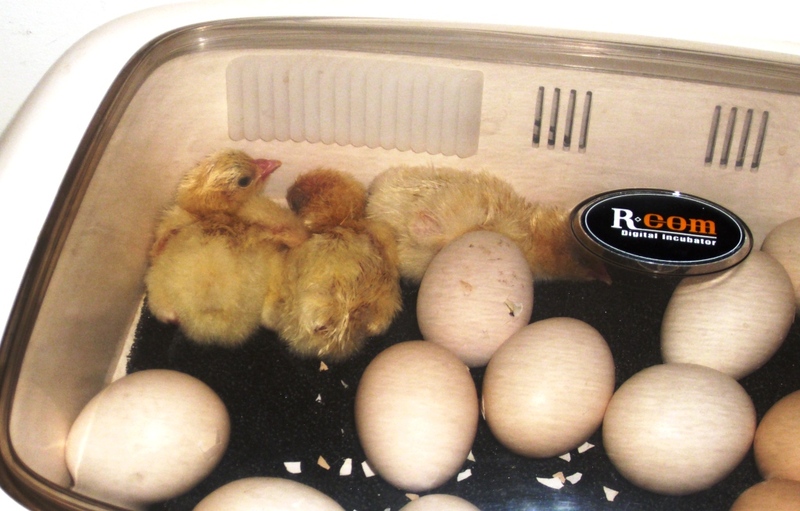 When we returned from Church on Sunday morning, to our horror we were three down on the count in the brooder. 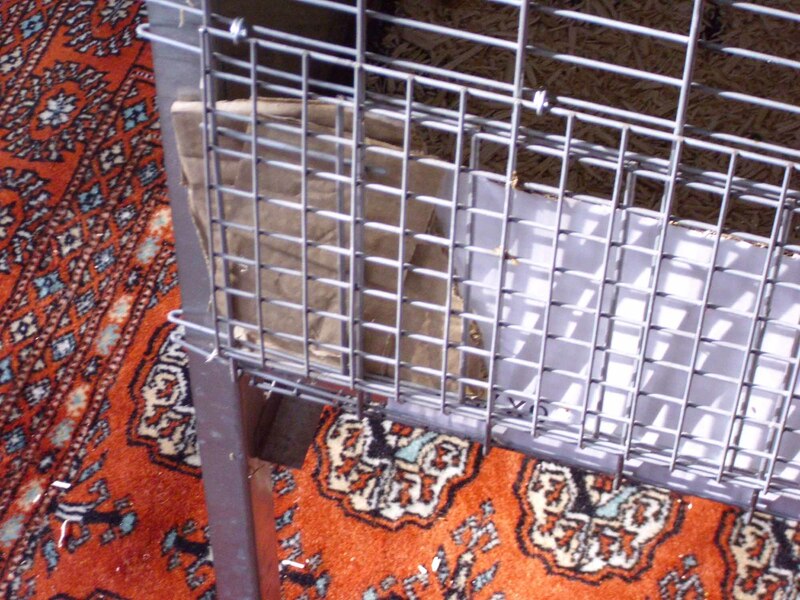 We were conscious that the tiny birds could probably squeeze through the mesh, so we’d installed a cardboard wall. 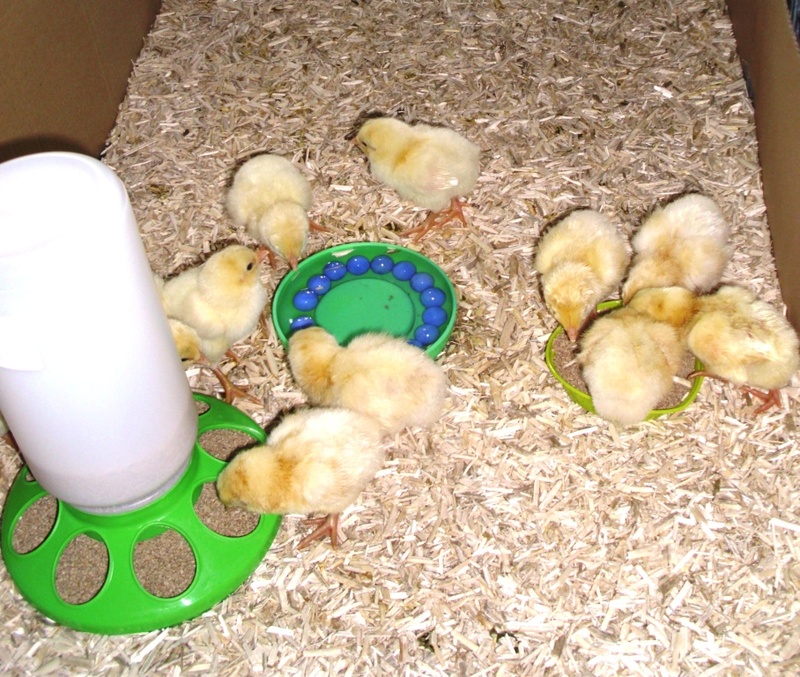 The chicks had discovered and widened a gap and made a bid for freedom. The left hand corner was the weak point. We reinforced it at once to stop further escapes. 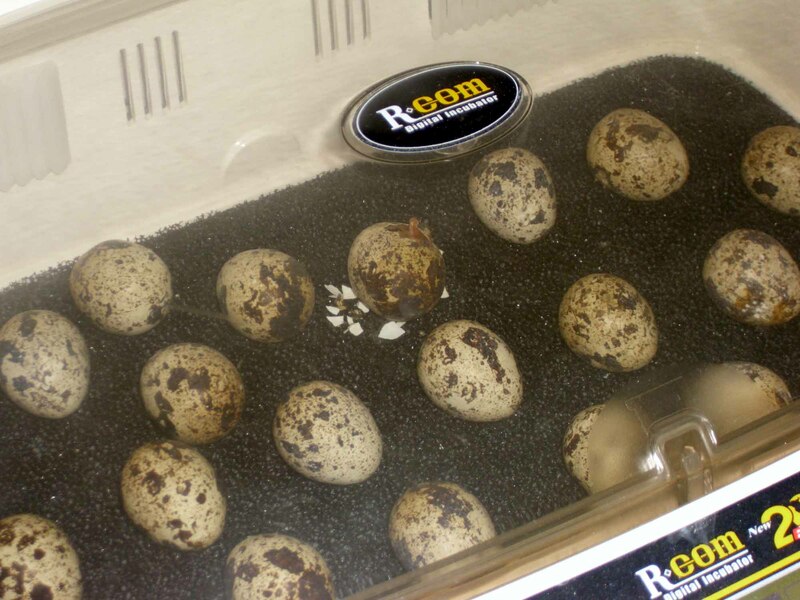 Today was the due date for the quail to hatch. 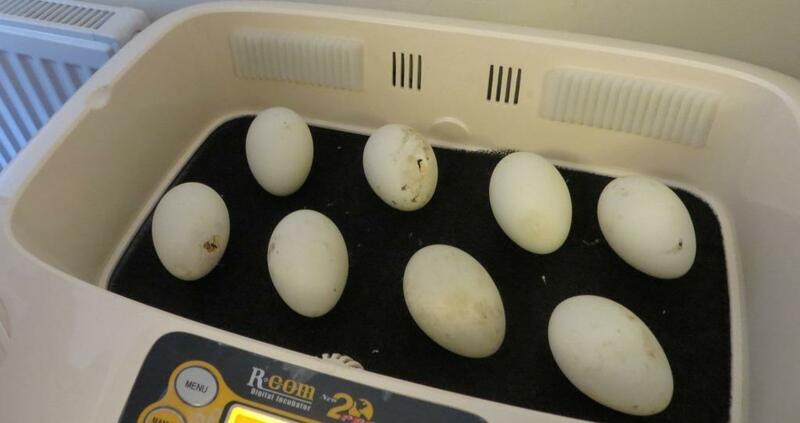 Let me start by saying that this time, unlike our poor hatch rate with the duck eggs, we’ve got a really great result. 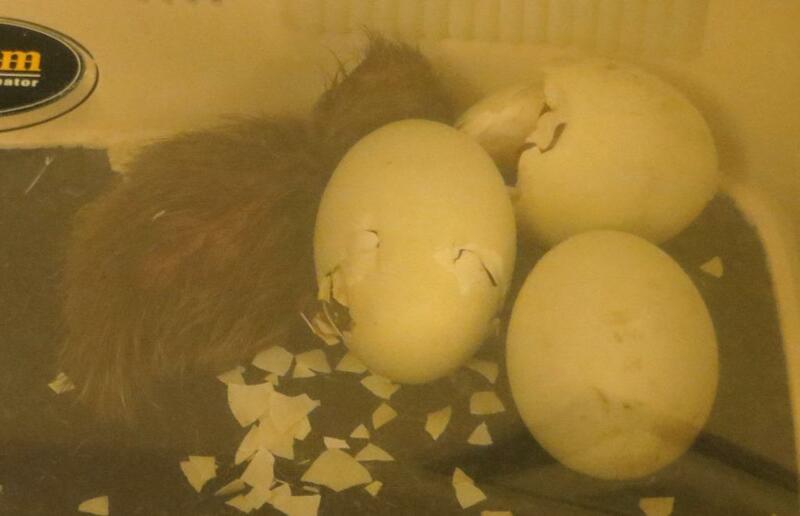 As I write, 17 of the 21 eggs have hatched successfully. Maybe we’ll get another one or two, maybe not, but I read that 75% is regarded as a good outcome for quail, so we’re very happy. The exact due time was noon today, Saturday. We had our first arrival at around 9:30pm on Friday evening.